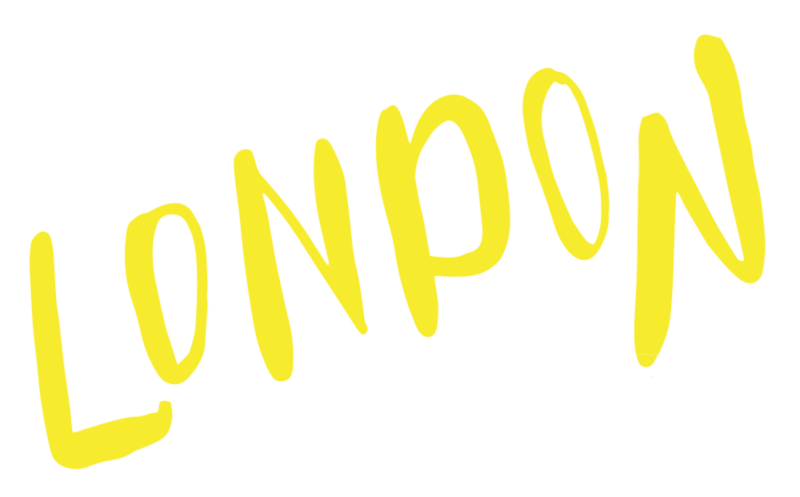 The London Borough of Hackney was at the centre of this typesetting brief, and we were given the task of bringing an ordinary, normally mundane, corporate report, a more contemporary and exciting transformation. For me, East London has always had a community feel, with stories to tell, and I wanted to bring this into my design. I also wanted to incorporate a sense of heart and life at the centre of the design, choosing a cut out circle as part of the design for the front cover. I went on to hand draw, emotive words that were pulled out from the text content provided in the report. These would also form a main part of the design, a nod to the street art of Hackney, as well as a hand crafted, from the heart feel. 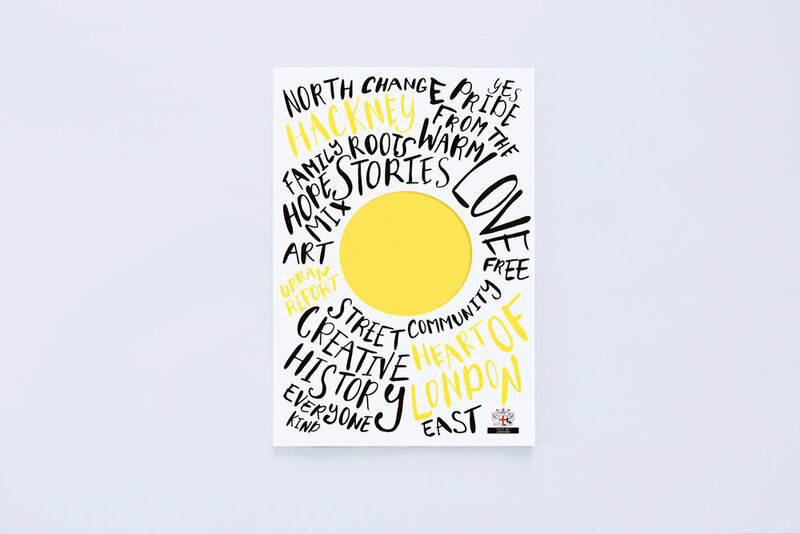 A bright yellow was then chosen as the main colour in the design, to reflect Hackney's positive and hopeful future. 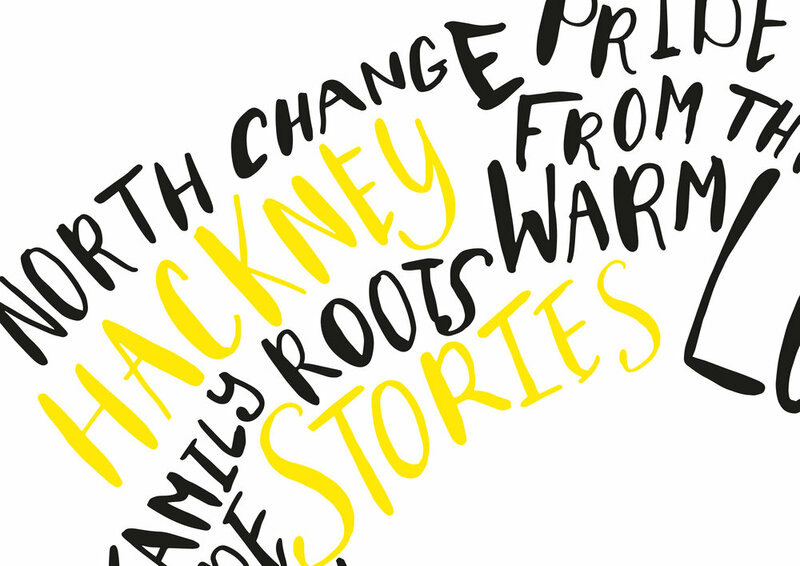 Key Themes: Stories from the Community Heart of London, Roots, Overflowing, Extraordinary.